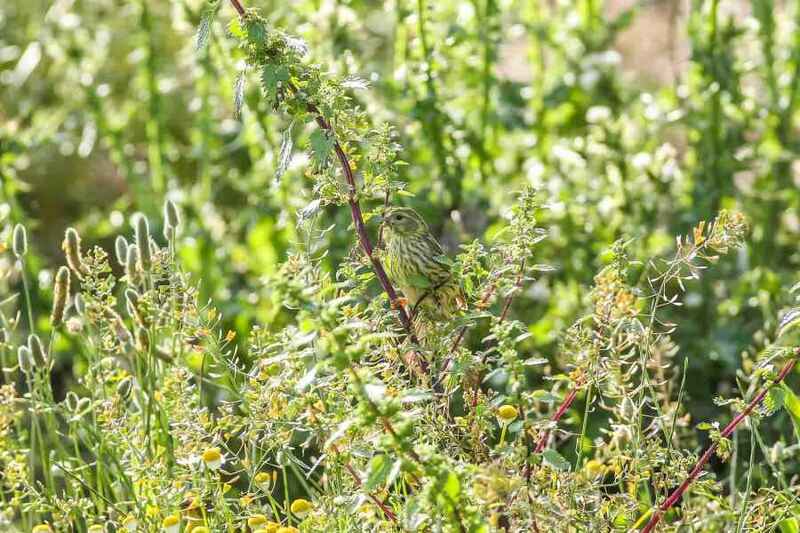 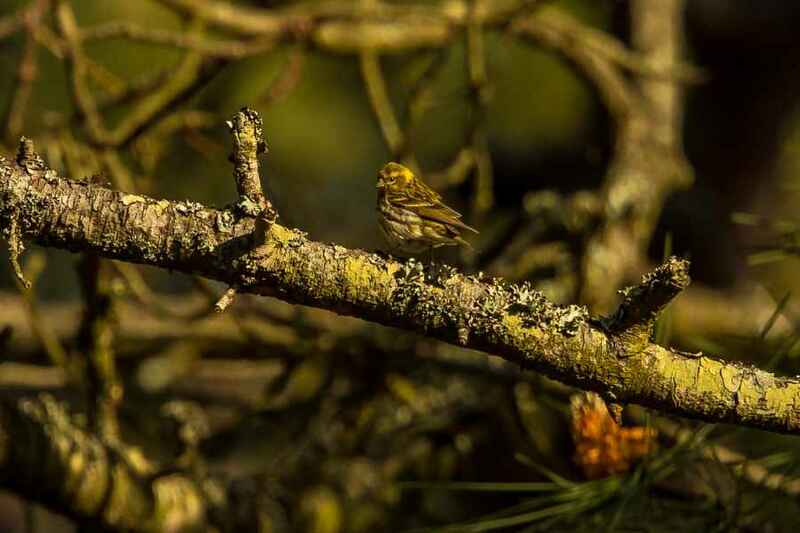 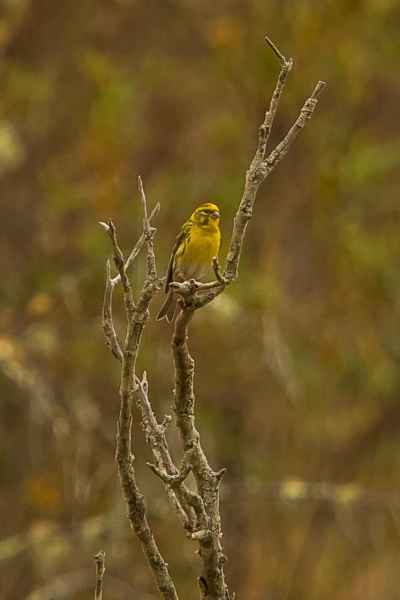 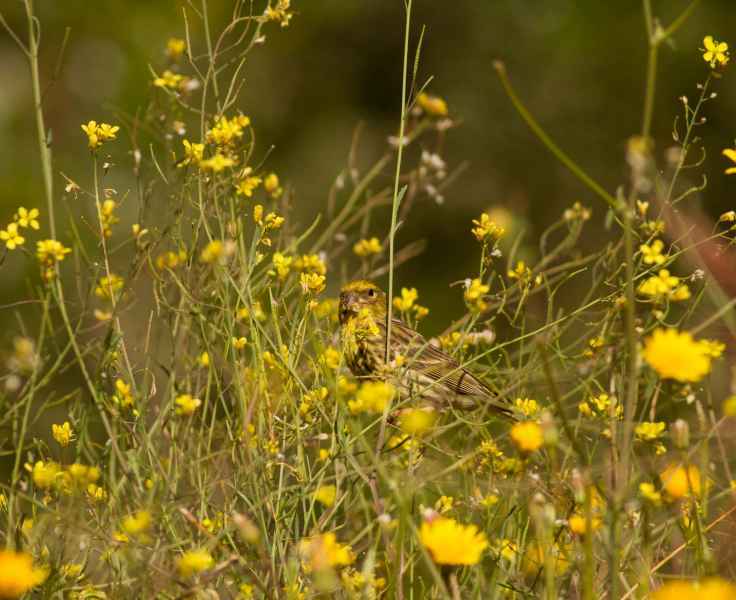 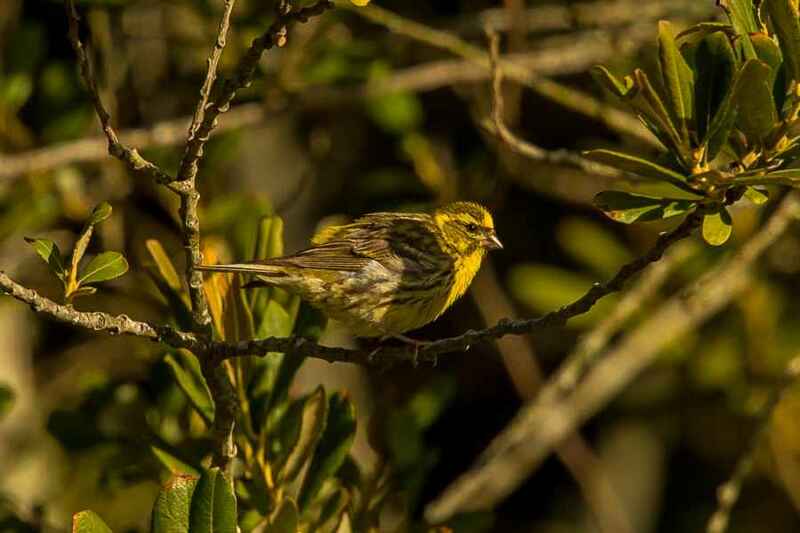 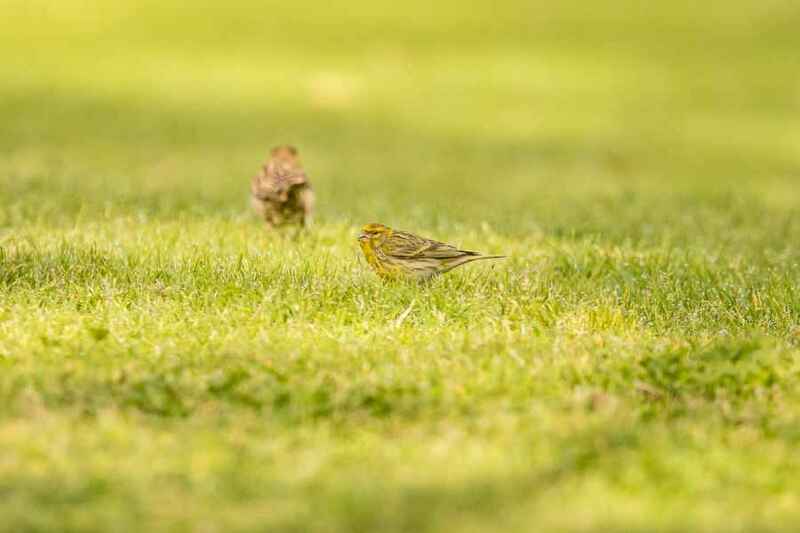 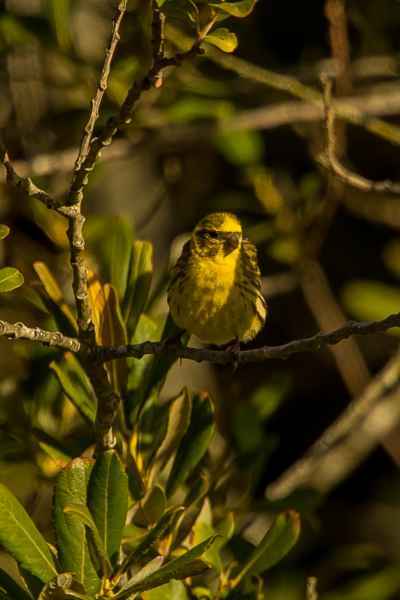 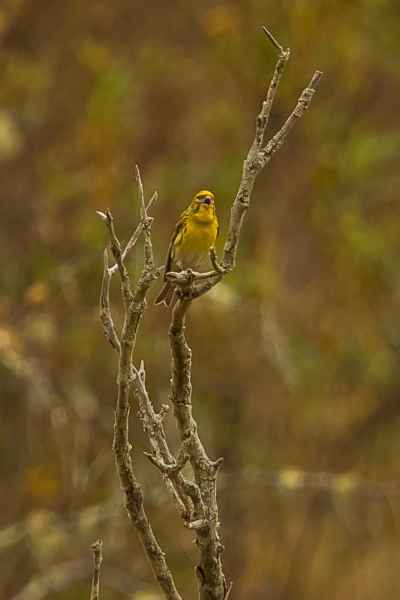 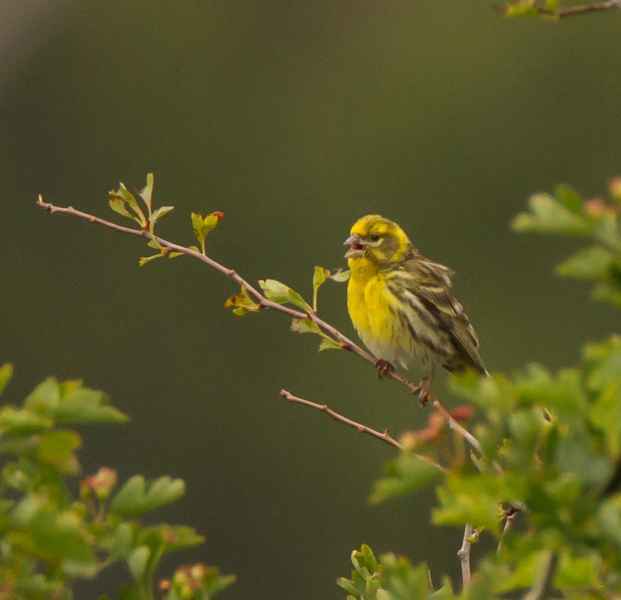 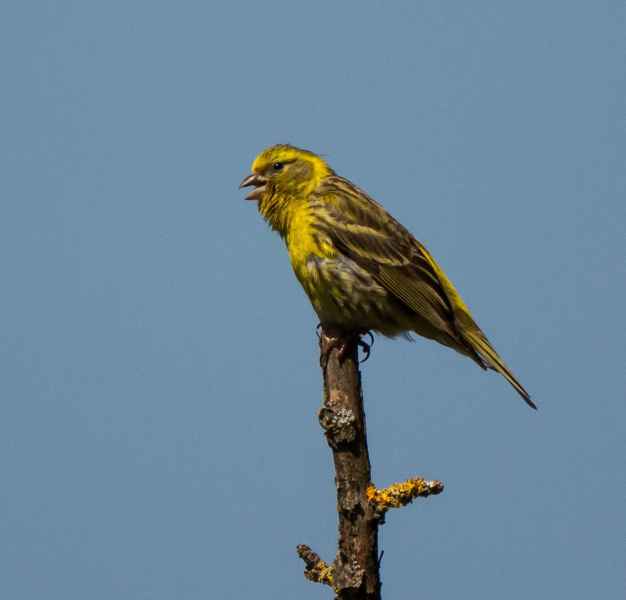 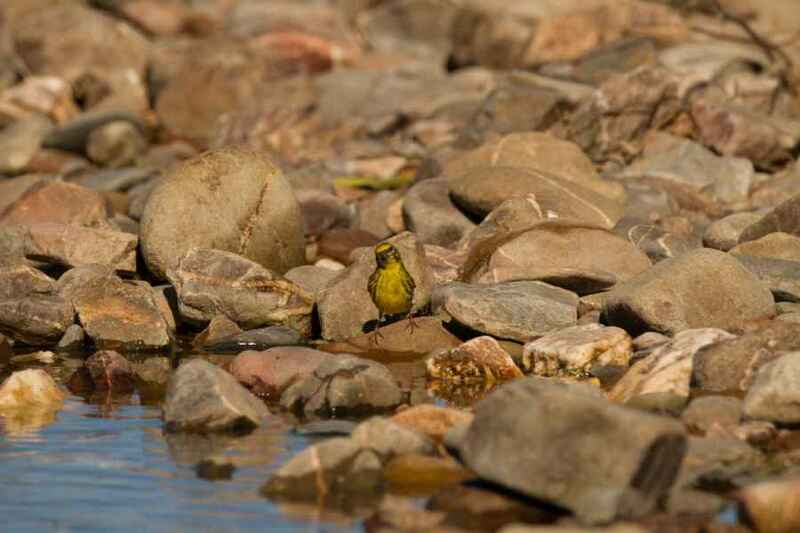 Serins are resident throughout Portugal and are a particular favourite as they're the first species that really starts singing when Spring is on the way, typically in the second half of January. 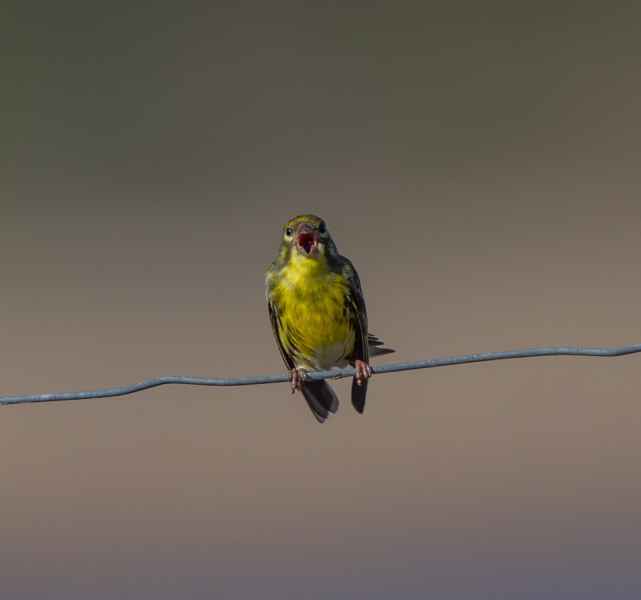 They're easy to recognise too as they tend to sing out in the open from a wire or branch and they always look as if they've just had their beaks punched in to the back of their face. 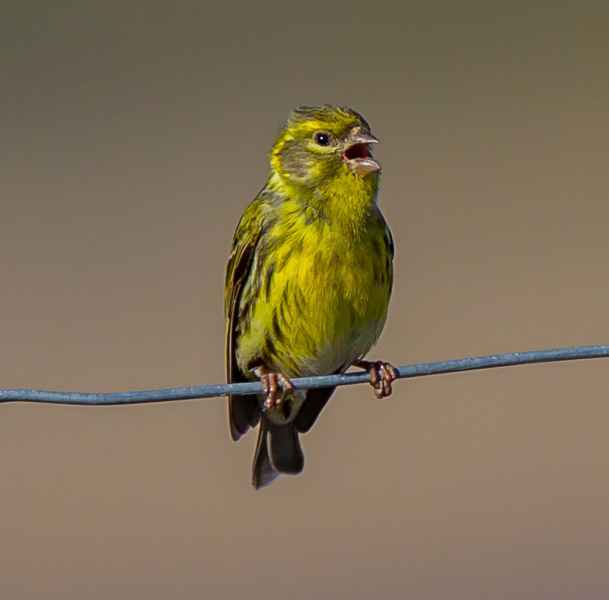 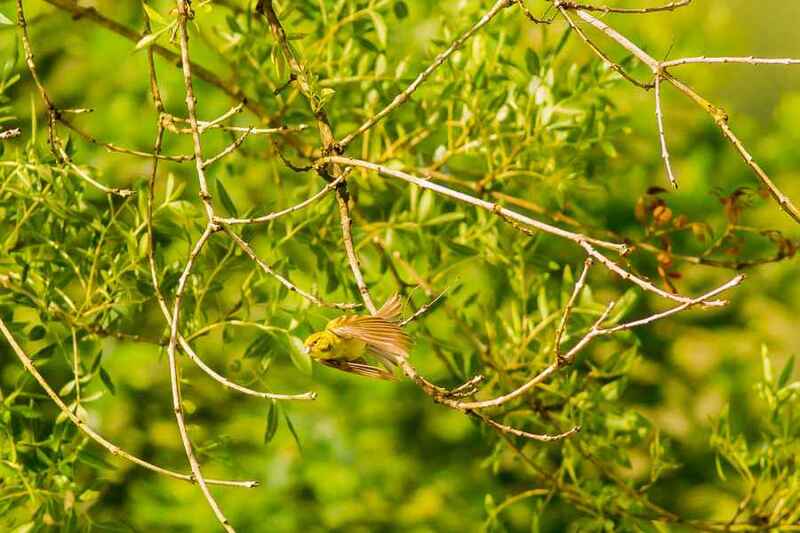 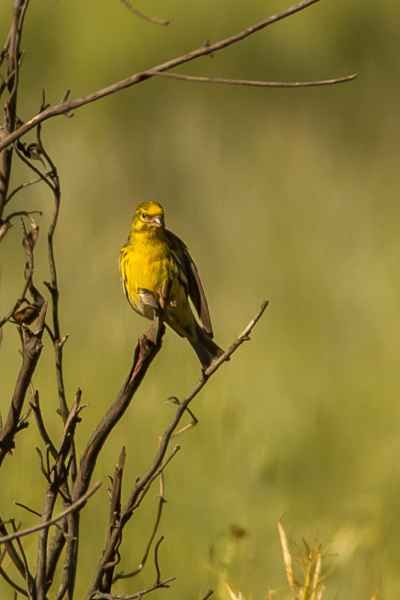 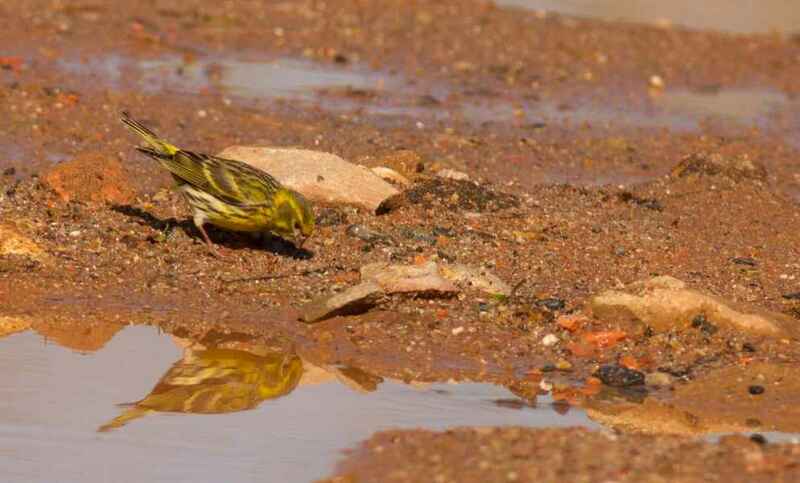 When flying away from one they have a distinctive bright yellow rump and can be mistaken for a Greenfinch, but there build is appreciably smaller.